Protect your safety by proactively creating space around your vehicle, never allowing yourself to get “boxed in.” Adequate space creates time and helps you avoid collisions. Maintain at least two seconds of following distance. 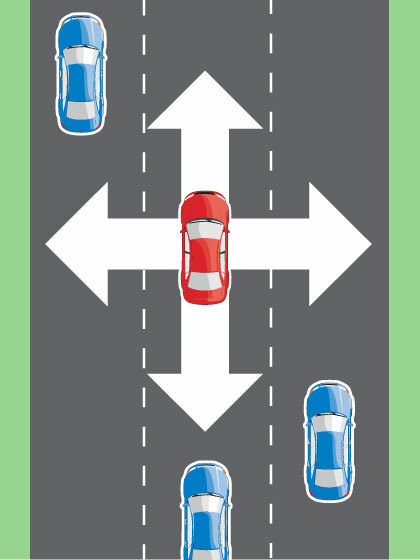 Adjust your position in traffic as necessary to avoid driving in others’ blind areas. Don’t allow yourself to be tailgated—change lanes or adjust your speed to encourage tailgaters to pass you.